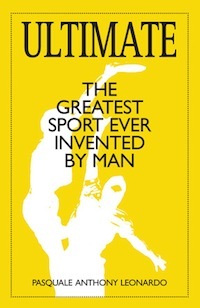 Why is it that you play Ultimate? Do you play because of your friends/teammates? Love of the game? Or for money and adulation? Why do we push ourselves to play year after year despite recurring injuries, the financial strain of training and travel, and the horrific weather conditions that send players in more popular sports scurrying for shelter. What are we chasing? What are we addicted to? On Sunday the 3rd place game followed by the gold medal game shall be played at Ron Joyce Stadium at McMaster University. The journey to this point has not been easy with hot weather, hecklers, and late nights. But I have persevered through all of this to bring you this recap of the top teams at CUC Mixed 2016. If you want to read up on my predictions for Saturday you may do so here or you may read onwards for the results. Day 2 and the pre-quarters have concluded setting up 8 teams for the quarterfinals and an intense day of Ultimate. The weather has been hot and humid but, fortunately, without any rain. Also fortunate is that the seeds have shaken out and I can now boldly say that: 3 of the teams in the quarterfinals shall medal. Read on to find out which ones. Hamilton hosts CUC 2016 Mixed from Thursday till Sunday. Here’s what we can expect: rain, layouts, and plenty of drama. 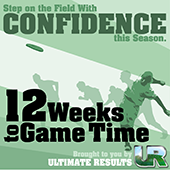 With 20 teams this year features the largest single division in adult division play with a focus on continued growth. Despite the growth in size all of the teams shall be quite competitive owing part to many elite Open and Women’s players opting to create or participate on Mixed teams. Combine that with Mixed touring programs that are using 2016 as a stepping stone to capture a worlds bid in 2017 and things are looking very interesting. Let’s dig into the division a bit more. Do you like the Ontario Mixed Division? Of course you do, that’s why you’re here. It provides everything that a spectator could want: action, uncertainty, mixed results, and a chance to see how poor a certain writer’s predictions will be.